I have presented this information, in depth, in other recent articles. Here I present the bare bones. Q: What is the major psychological factor at work here? A: That’s right, even when an authority says some person is sick and in the hospital and has Ebola. Q: Is the Ebola epidemic a fraud, in the same way that Swine Flu was a fraud? A: In the summer of 2009, the CDC stopped counting cases of Swine Flu in the US. A: Because lab tests on samples taken from likely and diagnosed Swine Flu cases showed no presence of the Swine Flu virus or any other kind of flu virus. Q: So the CDC was caught with its pants down. A: Around its ankles. It was claiming tens of thousands of Americans had Swine Flu, when that wasn’t the case at all. So why should we believe them now, when they say, “The patient was tested and he has Ebola.” The CDC is Fraud Central. Q: Where is the fraud now, when it comes to counting Ebola cases and labeling people with the Ebola diagnosis? A: The diagnostic tests being run on patients—the antibody and PCR tests are most frequently used—are utterly unreliable and useless. Q: Therefore, many, many people could be labeled “Ebola,” when that is not the case at all? Q: But people are sick and dying. A: People are always sick and dying. You can find them anywhere you look. That doesn’t mean they’re Ebola cases. A: Exactly. The map can be drawn in any number of ways. 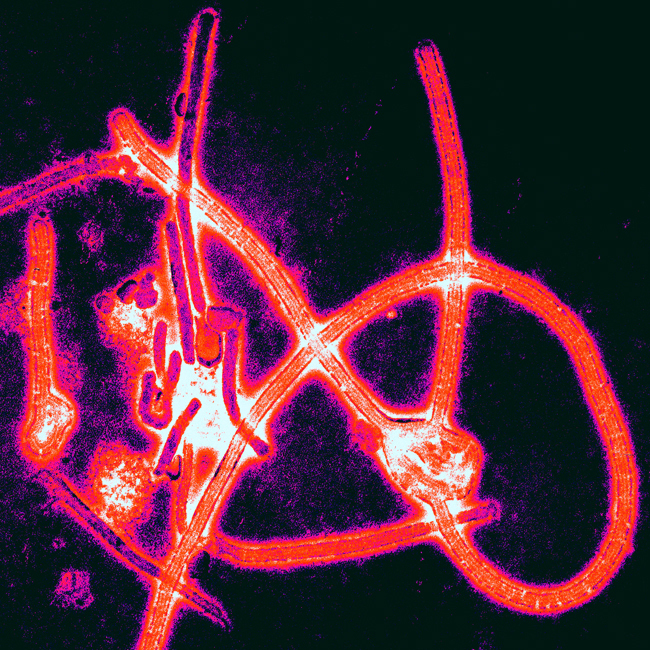 Q: Could an “Ebola patient” have other viruses in his body? A: Of course. Many other viruses. The mere presence of a virus does not mean a person is sick or is going to get sick. A: First of all, the Ebola virus would need to be isolated from the patient directly. The two tests I mentioned above are indirect. Then, if Ebola is isolated from the patient directly, a test needs to show that the patient is harboring millions of active Ebola virus—that’s called a test for titer. Q: Are these procedures being done as a matter of course on people suspected of having Ebola? Q: We’re told that the Dallas Ebola patient was vomiting profusely outside his apartment, before he was sent to the hospital. Isn’t this a symptom of Ebola? A: It could be a symptom of many things. Some news reports state that the patient had already been to the hospital, where he was given antibiotics and sent home. All classes of antibiotics list nausea and vomiting as adverse effects. Q: So the symptoms of Ebola, like cough, fever, fatigue, diarrhea—these can be attributed to many causes? A: Absolutely. The flu, for example. Q: Now we’re seeing a search operation for contacts of several Ebola patients. A: This will whip up hysteria to new heights. But where is the proof that the original patients have Ebola? Q: Again, the original patients are sick. Q: What’s killing all those people in West Africa? A: With the tests being run on them—and many are simply eyeballed and called “Ebola”—there is no proof that any of these people have Ebola. Q: There are other long-term reasons for death and dying in West Africa? A: Protein-calorie malnutrition, hunger, starvation, extreme poverty, contaminated water supplies, overall lack of basic sanitation, a decade of horrific war, toxic medical drugs, prior toxic vaccine campaigns, etc. Q: And the combined effect of these conditions? A: Destruction of immune systems. Then, any germ that sweeps through the population, a germ that would ordinarily be defeated, instead kills many people. Why? Because the immune system is too weak to respond. With healthy and strong immune systems, the germs would have no significant effect. Q: What about the health workers in West Africa who have died? A: Since unreliable diagnostic tests would have been run on them, we don’t have any idea why they died. But at least some of them were suffering greatly from working inside hazmat suits, sealed off from the outside. In a one-hour shift, in boiling heat, they were losing five quarts of body fluid, then coming out, rehydrating, disinfecting with toxic chemicals, putting their suits on again, going back to patients for the next shift, losing extraordinary amounts of body fluid again, and so forth and so on. That would cause anyone to collapse. Q: But this has to be an Ebola epidemic, with all the press coverage, with statements from the CDC, with announcements from experts. A: That’s what they said about Swine Flu, which was a dud. This doesn’t have to be Ebola just because official sources say it is. Q: Let’s get back to the psychological factors involved here. Q: But it could be something else? Q: People don’t want to accept that, though. They want to believe in the doctors and the CDC and the tests that are run on people to decide if they have Ebola. A: That belief isn’t based on anything real. Q: People believe in the power of what they’re told. A: Yes. It’s interesting to see people who otherwise call the CDC a fraud suddenly accept the CDC’s edict about Ebola. There is no rational substance to that acceptance. Q: So to be clear, you’re saying there might not be an Ebola epidemic at all. A: What do you need to determine whether people have Ebola? Accurate diagnostic tests. Accurate tests aren’t being done. So this is an unproven epidemic. And making the assertion of an epidemic is a hoax. Q: Like the Swine Flu. A: Exactly. As I said, in the summer of 2009, the CDC stopped counting cases of Swine Flu and yet maintained there was an epidemic. The samples of blood from patients they sent to labs showed, in the overwhelmingly number of cases, that there was no Swine Flu virus present. Q: And at that time, how many cases of Swine Flu had the CDC already said were present in the US? Q: And what did the CDC do next? A: Unbelievably, they doubled down and estimated there were 22 MILLION cases of Swine Flu in the US. That’s the level of lying we’re dealing with here. And now, the CDC says Ebola is loose. The diagnostic tests they’re running and relying on are useless. But everybody and his brother believes the CDC. A: People have all sorts of preconceptions that lead them to say, “It must be Ebola.” Here is the sequence: We hear nothing about people dying. Then the press reports, “People are dying. It’s an outbreak. It’s Ebola.” And that is automatically accepted. Why? Because populations have been tuned up by decades of propaganda to make those connections. Q: Believing what you say here—this would imply such an enormous level of fraud—it’s unthinkable. A: No, it’s not unthinkable. Again, for comparison, I refer you to the Swine Flu hoax. That was absolutely staggering. It was exposed by CBS reporter Sharyl Attkisson in October of 2009. She published her work on the CBS website. CBS was about to put the story on the Evening News. Then it was stopped. Attkisson was cut off at the knees. Censored. A: Because the entire vaccine establishment, including the CDC, which is really a PR agency for pharmaceutical companies, would have been exposed for all to see. By calling Swine Flu an epidemic, millions and millions of Swine Flu shots were given. The CDC, knowing the “epidemic” was a fraud, their own fraud, was pitching the vaccine as if their lives depended on it. Q: Was the World Health Organization (WHO) involved in the fraud? A: As Peter Doshi has written in BMJ Online, in the spring of 2009, with only 20 cases of Swine Flu in the world—20—the WHO declared Swine Flu a “level 6 pandemic,” their highest classification of danger. Not only that, they changed their own definition of “pandemic,” so that it no longer had to mean widespread and severe death and dying. They just changed the meaning of word “pandemic.” Quite Orwellian. Q: But the US government is buying and distributing hazmat suits. People are being quarantined. There is a hunt for contacts of the Dallas patient. Stories in the press are ramping up fear. All these people couldn’t be wrong. A: I have condos for sale on the moon. I think you might be an ideal customer. Q: Speaking of the CDC, a long-term scientist with the agency, William Thompson, recently admitted he committed fraud, when he co-authored a 2004 study that claimed the MMR vaccine had no connection to autism. A: Thompson had several co-authors from the CDC on that study. They all committed fraud. Consider the conversations that must have taken place at the CDC to arrange that fraud. Q: Do you think the fraud went all the way to the top of the CDC? A: In 2004, whistleblower Thompson wrote a letter to Julie Gerberding, the head of the CDC. He warned her he was about to present troubling and sensitive data about the vaccine at an upcoming conference on vaccines and autism. His meaning was clear. He had found a vaccine-autism connection. Q: What did Gerberding do? A: She never answered Thompson’s letter, and his presentation at the conference was canceled. Q: Is Gerberding still the head of the CDC? A: No. She left the CDC in 2009. A: She’s the president of Merck vaccines. Q: What vaccine do they manufacture? Q: The same vaccine Thompson found had a connection to autism? Q: And for 10 years, from 2004 to now, Thompson and his co-authors sat on the knowledge that the MMR vaccine has a connection to autism? Q: And this is the same CDC that now wants us to believe that there is an Ebola epidemic? A: Yes. As I was saying, I have a lovely condo for you on the dark side of the moon. Swimming pool, outdoor grill, playground for the kiddies, nine-hole golf course. Interested? Q: No comment. But since we’ve come this far, perhaps you could explain why the tests for diagnosing Ebola are unreliable and useless. A: Let’s start with the antibody test. Two problems. First, the test is notorious for what’s called “cross-reactions.” That means the test isn’t really registering, in this case, the presence of Ebola. It’s registering one of a whole host of other factors. For example, the patient received a vaccine, and that triggers a falsely positive reading. A: The antibody test doesn’t say whether a person was sick, is sick, or will get sick. At best, if there are no cross-reactions, it merely says the person had contact with the virus in question. So a positive antibody test for Ebola is far from saying “this person has Ebola.” That’s a lie. In fact, before 1985, the general conclusion from positive antibody tests was: this is a good sign; the patient’s immune system contacted the germ and threw it off, defeated it. This entry was posted on October 11, 2014 by Amir Alwani. It was filed under health, news, tyranny and was tagged with Ebola.